Boy Kings Treasure slot consists of 20 paylines, and there is an exciting Bonus game, including a random Progressive Jackpot. Players can wager from as little as 5 cents to $50 per line. King Tut was the richest man alive in his day, and it was tradition for a boy or man to be buried with his treasures. Players can uncover this famous hidden treasure and share in the riches that this video slot offers, by just spinning the reels. Players can wagers from as little as 5 cents to $50 per line. The Wild icon is King Tut which substitutes for all icons except the Scatter. If the Wild icon forms part of a winning combination the reward will automatically be doubled. If the Wild icon assists a win in the Bonus round, then the reward will be multiplied even more. The Scatter icon is the Snake in the Treasure of the Boy King. The Bonus round will be triggered when 3 snakes appear on the reels. 15 Free Games will be rewarded to players in the Bonus round, and this is the perfect opportunity to find the Treasure of the Boy King. If the King Tut icon assists players with a winning combination in the Bonus round, the prize will be doubled, tripled or quadrupled. 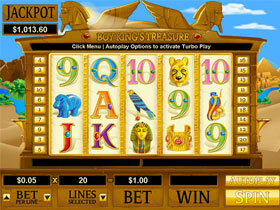 The King Tut Wild icon can multiply up to 16 times in a winning combination. There will be loads of free treasure hunts as this Bonus round can be re triggered. 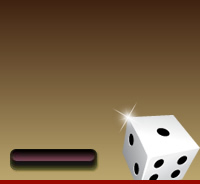 The Jackpot is random and can be won during a spin at any time.